Certified Educators with at least two years teaching experience. 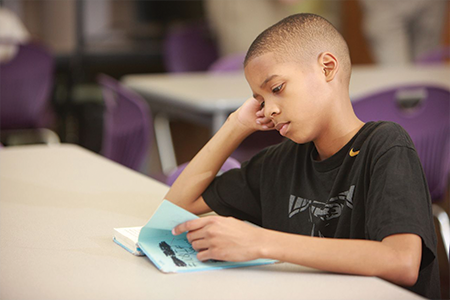 This program is a tutoring program for kids in grades two through four who need extra help. 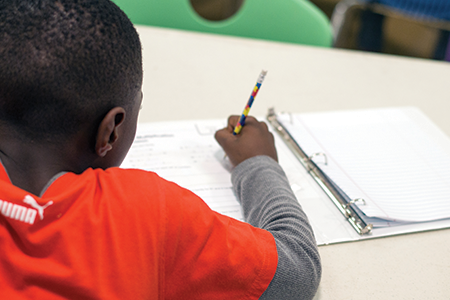 Individualized tutoring plans are created for each child based on the results of the student’s pre-test. This is a computer-based program that teaches reading by helping kids sound out words through letter recognition and phonics. Students then learn words that don’t follow the rules and also learn words that are more than one syllable. In addition, students practice learning comprehension and go beyond the ability to read words to actually start seeing the ideas communicated by the words. 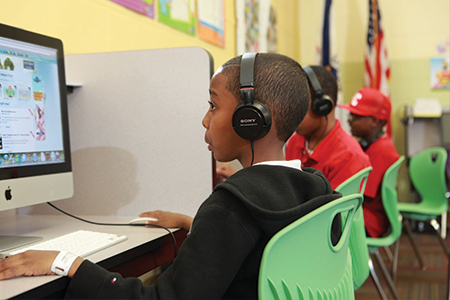 These work stations allow youth in grades two through four to explore reading and writing activities that increase their skills while fostering a love of reading. During workstation time (45 minutes), students choose what they want to read, work at their own pace, learn to work independently or with a partner, and work hands-on with literacy materials. Academic enrichment (an extra assignment that will expand on academic skills already developed) and homework assistance is available Monday through Friday. Every Tuesday, Wednesday, and Thursday, 45 minutes is reserved for homework. 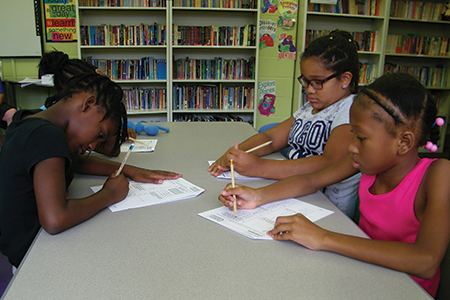 GSGBC staff and volunteer college students are available to help with homework. If a student does not have homework, an enrichment activity is provided. 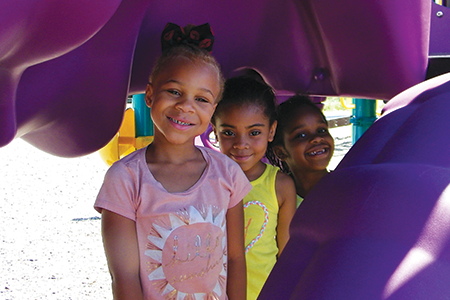 GSGBC’s Summer Program offers an eight-week, well-rounded curriculum that allows members grades one through six to acquire and strengthen reading, writing, math, and science skills. They also get to use our seven-acre field, a gymnasium, and an Olympic-size swimming pool in both structured, skill-building athletic activities and structured recreational activities. Participants also receive breakfast and lunch at the Club. 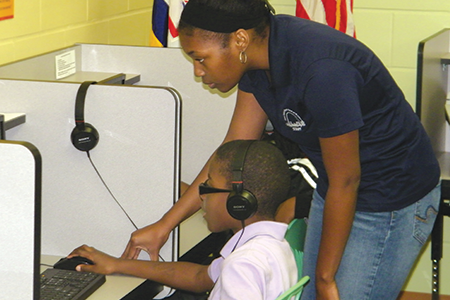 On Mad Math Mondays, youth participate in games and activities that use math. By creating a more fun and game-centered approach to learning, the Club aims to build its members’ skills while teaching them that learning is fun. By encouraging a love of learning from an early age, the Club is helping its members get and stay on the path to success.